On a day of unspeakable horror for New York and the entire nation, terrorists crashed the World Trade Center and Pentagon. The 9/11 attacks mark the deadliest assault on the US in its history. Thousands of lives are suddenly ended by the evil, despicable acts of terror. The twin towers of the World Trade Center were more than just buildings. 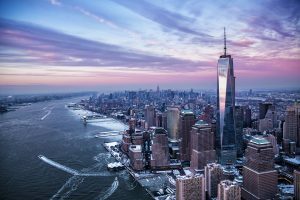 The World Trade Center was formulated in the early 1960s by the Downtown-Lower Manhattan Development Association. Fifteen years ago, 19 men were trained by Al-Qaeda carried out a coordinated terrorist attack on the United States. The attackers simultaneously hijacked four large commercial passenger aircraft’s with an intention to crash them in the main places of United States to inflict as much as death and destruction as possible. The attacks involved four plane hijackings, two from Boston, one from Newark and one from Dulles International outside Washington. They are loaded with fuel for the cross-country flight, and they crashed within 90 minutes of one after another. Three of the planes have struck their targets, and the fourth plane was crashed in the field in Pennsylvania. Less than 18 minutes after the first plane hit, the second Boeing 767 United Airlines Flight 175 appeared out of the sky, moving sharply towards the World Trade Center and crashed into the south tower near the 60th floor. The aircraft crashed into the tower travelling at a speed of approximately 586 miles per hour. The collision caused a massive explosion that showered the burning scattered pieces, flames and smoke over surrounding buildings and the streets below. After burning for nearly 102 minutes, the North Tower of World Trade Center has collapsed, and the South Tower of New York’s World Trade Center begins to collapse after 56 minutes of the terrorist attack. America was under attack. In a single day, these deliberate terror acts of murder killed 3000 people from 57 countries. The September 9/11 attacks kept the entire world into shock. 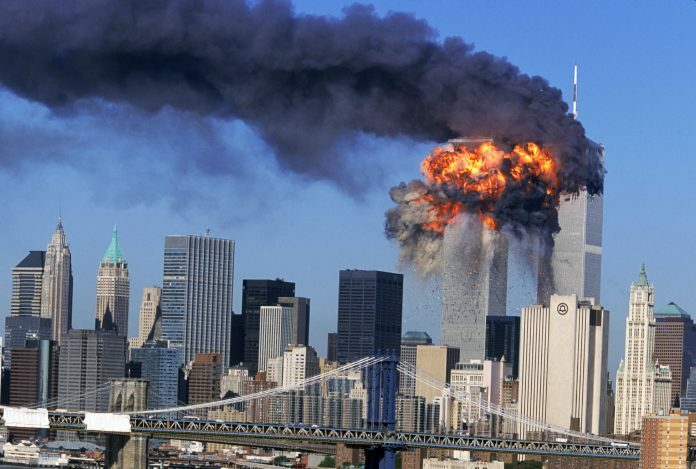 This was the first biggest attack by Non-Americans on the United States. The destruction of World Trade Center and nearby infrastructure caused significant damage to the economy of Lower Manhattan. The photos of attacks and events after them are the most unforgettable images in the American history. The reconstruction of World Trade Center has begun in the year 2006, and the new Memorial opened on September 11, 2009. The new skyscraper stands on the northwest corner of the 16 acres on the site of original World Trade Center.